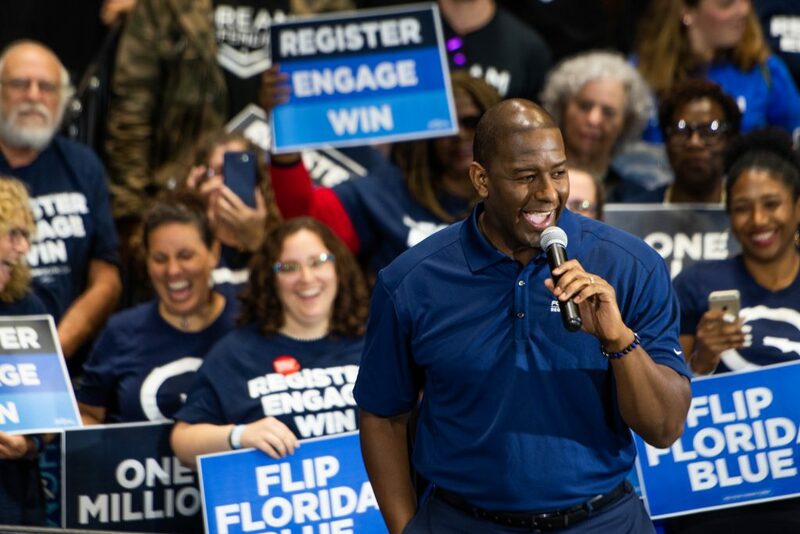 MIAMI GARDENS — Democrat Andrew Gillum, who narrowly lost a bid for Florida governor last fall, unveiled his plan Wednesday evening to help Democrats win back the White House in 2020. “We got to bring it home, and that didn’t end with a campaign for governor,” he told a crowd of supporters at Florida Memorial University. Gillum lost last year’s gubernatorial race to Republican Ron DeSantis by 32,463 votes or 0.4 percent. He attributed part of his loss to the thinning margins between registered Democrats and Republicans in the Sunshine State. 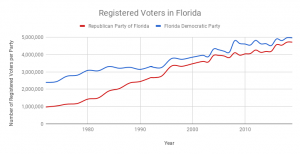 In 2008, there were nearly 700,000 more Democratic voters than Republican ones registered in the state of Florida. Today, data from the Florida Department of State Elections Division shows that Democratic advantage has shrunk to under 250,000. Florida’s 29 electoral votes have decided two of the last five presidential elections. Gillum said he hopes that by registering and engaging voters early, he can help the Democratic nominee win Florida. Tracy Merlin, a second-grade teacher in Broward County, came to Miami Gardens to support Gillum’s initiative. Merlin said the voter registration pledge and Gillum rejoining the political arena gives her something to look forward to. “The second you take back Florida, you have that opportunity to change the vote,” she said. She said she wants to help a Democratic candidate win so there is a chance for increased teacher salaries and less standardized testing. Moms Demand Action volunteer Nancy Fry said she hopes this early push could translate to legislative action on gun violence. 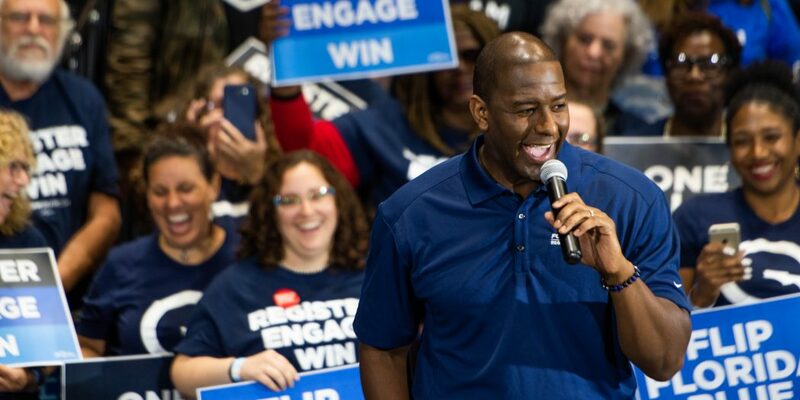 Gillum’s political committee Forward Florida has about $3.86 million available to spend on this new effort, according to campaign finance reports. The Florida Democratic Party and billionaire Michael Bloomberg have also pledged to fund voter registration efforts in the state.